Anacamptis pyramidalis - Pyramidal orchid - Pyramiden-Spitzorchis (Hundwurz) - A pretty orchid that is common all over Europe. It can be seen all over Crete and is found in colours ranging from white to dark pink. 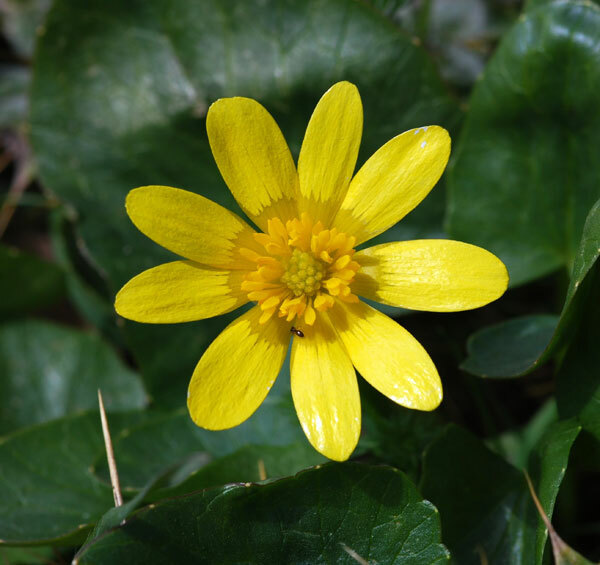 Ranunculus cupreus - This bright little endemic buttercup can be recognised by the copper coloured shading on the reverse of its petals. It can be found in stony places and phrygana. 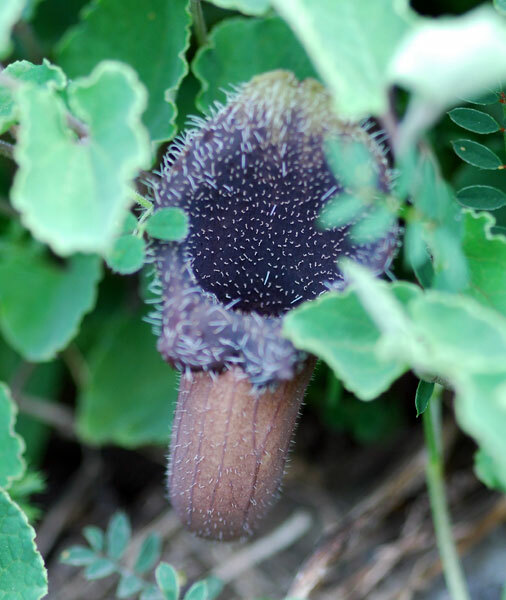 Aristolochia cretica - Cretan Dutchman’s Pipe, Cretan Birthwort - Kretische Osterluzei - A strange little flower which exudes a smell of rotting meat to attract flies, which get caught by the hairs inside the trumpet. 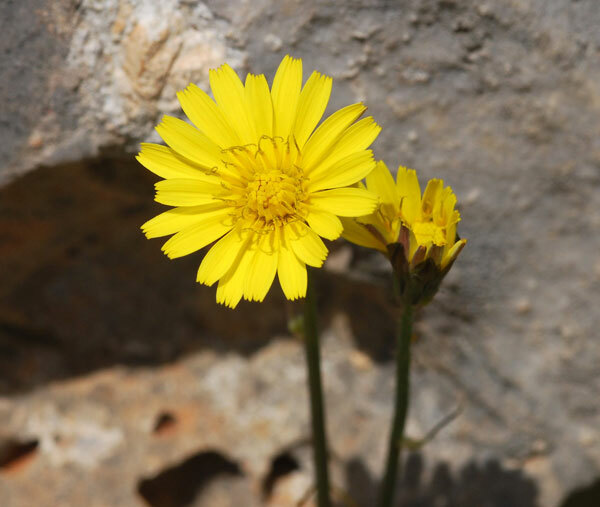 It is endemic to Crete and is more often found in the east of the island. 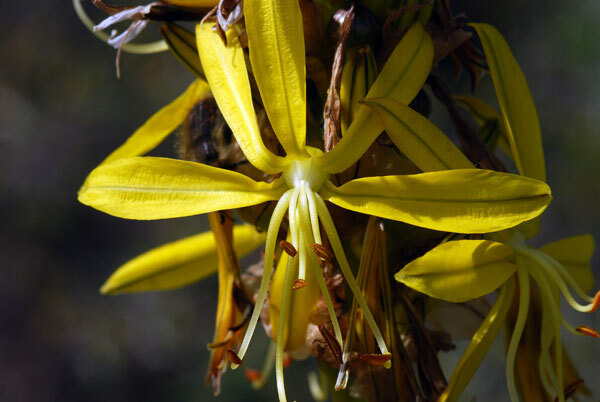 Asphodeline lutea - Yellow asphodel - Junkerlilie - This asphodel can be found all around Crete. 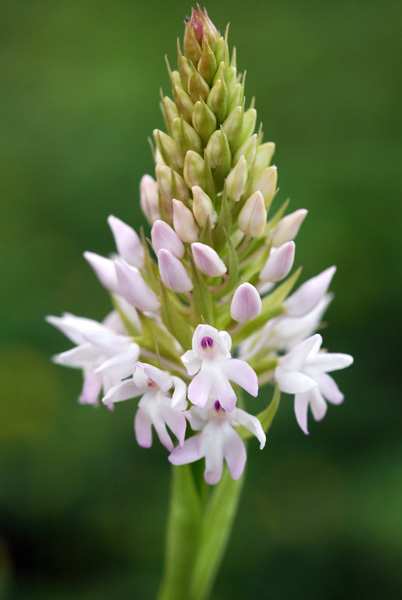 From a distance the flower spike looks a little untidy, but on closer inspection each flower is exquisite. 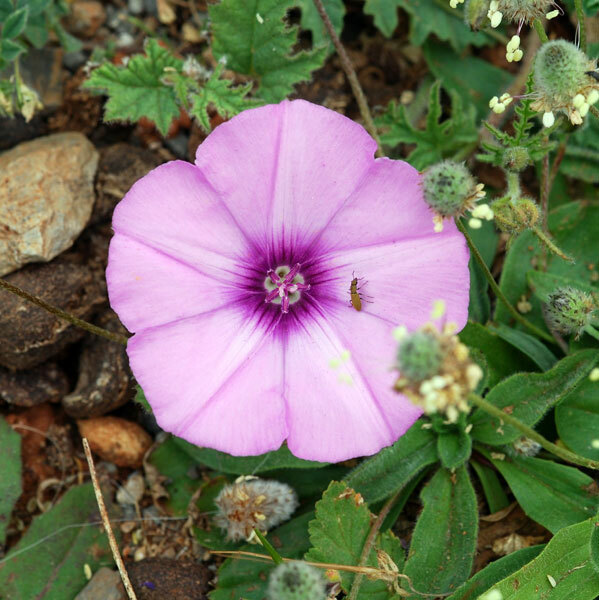 According to Homer this flower grew in profusion in Hades where the souls of the dead gathered. 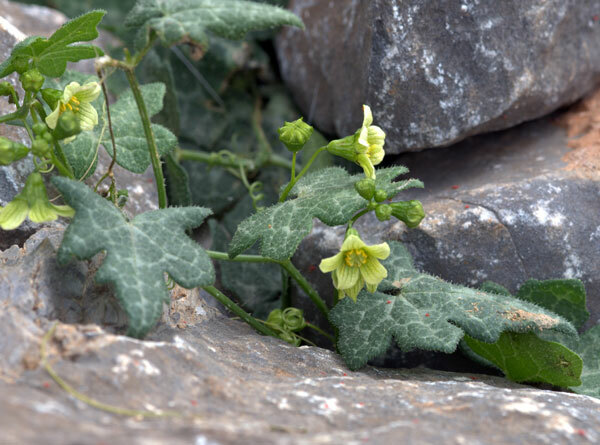 Bryonia cretica - Cretan bryony, White Bryony - Rotbeerige Zaunrübe - A very pretty little climbing plant which bears poisonous red berries. Convulvulus althaeoides - Mallow leaved bindweed - Eibischblättrige Winde - This very fragile plant is particularly difficult to photograph. This specimen was found on Spinalonga on a very windy day and took a lot of patience to capture. Crepis - An unidentifiable (to me) compositae, which I have tried to name in vain. 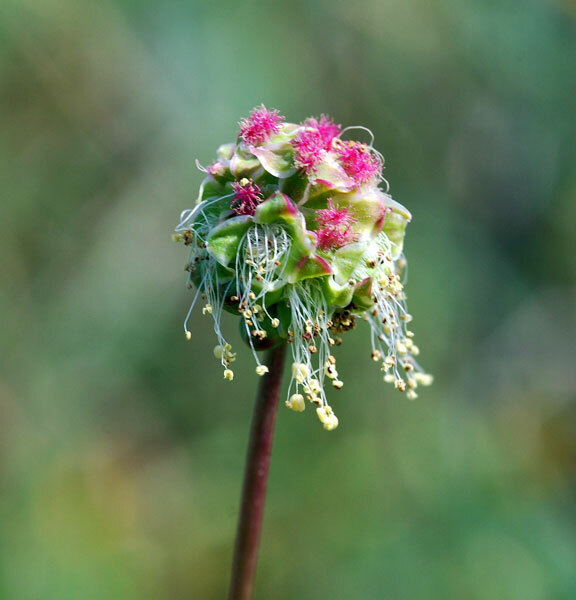 Sanguisorba minor - Burnet - A strange flower head which looks as if it has been assembled from various bits and pieces – perhaps a form of fanciful millinery? Crocus sieberi ssp. 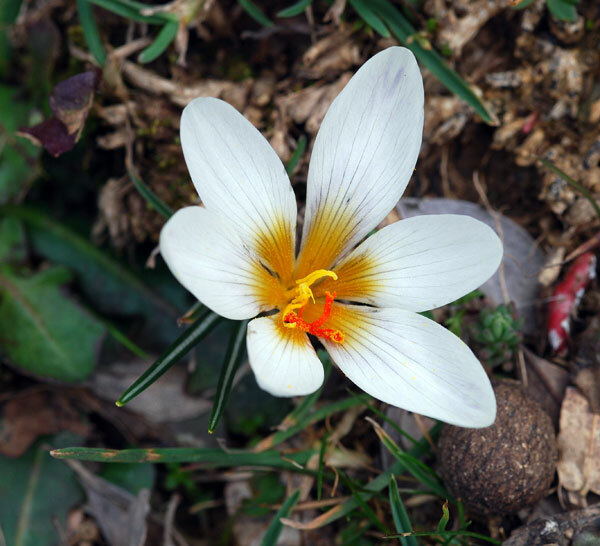 sieberi - Sieber’s Crocus - Siebers Krokus - The only Spring flowering crocus on Crete. This large crocus is found in the mountains just as the snow melts. This is the first time I have photographed this lovely flower, which was blooming in great numbers with Chionodoxa (Scilla) nana on the Katharo plateau.